Update: In a surprise move last night, Sprint abandoned its plans to acquire T-Mobile, citing regulatory pressure about consolidating America's four big wireless carriers into only three. Along with cancelling the bid, Sprint has shown CEO Dan Hesse the door. After being named CEO in 2007, Hesse oversaw a substantial upgrade of Sprint's network, but failed to maintain a subscriber base that seemingly switched to larger rivals Verizon and AT&T. Sprint board member Marcelo Claure, who also serves as CEO of Brightstar, has been named the new CEO. Sprint's parent company Softbank announced it would buy Claure's ownership in Brightstar as part of his transition to be Sprint's chief executive. T-Mobile is still being targeted for acquisitions by others, including French telecom giant Iliad. 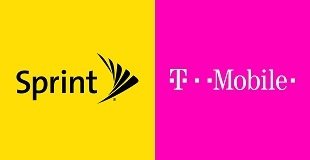 Original Story: Bloomberg is reporting that Sprint is in final acquisition talks with T-Mobile. The deal is said to value T-Mobile at just under $40 a share, and the purchase funds would be 50 percent cash, and 50 percent Sprint stock. Once the deal is complete, Softbank (Sprint's parent company) would be in control of T-Mobile, while the latter's current owner, Deutsche Telekom, would retain a 15 percent stake in the combined venture. If the deal goes through at $39 per share, which seems to be the popular number, T-Mobile would have "a theoretical enterprise value of $40.8 billion," when stock, debt, and cash-on-hand are all considered. If the deal falls through, or is shot down by the U.S. government, the breakup fee is expected to be north of $1 billion. Such a breakup fee being used would not be out of the ordinary. AT&T tried -- and failed -- to buy T-Mobile in March 2011. The deal was later abandoned after the U.S. Department of Justice filed a lawsuit to block the sale.